This evening I had the wonderful opportunity to take a new camera for a spin (Canon 5D Mark III). Now understand I love my current camera (the Mark II,) and before I took the new model out I just couldn't see the need for an upgrade based upon the specs. Other than the fact that my camera just passed the hundred thousand exposure mark. (Timelapse will eat the shutter eventually.) The one thing I did expect was better low light performance. And since I love my evening photos that is a big deal to me. 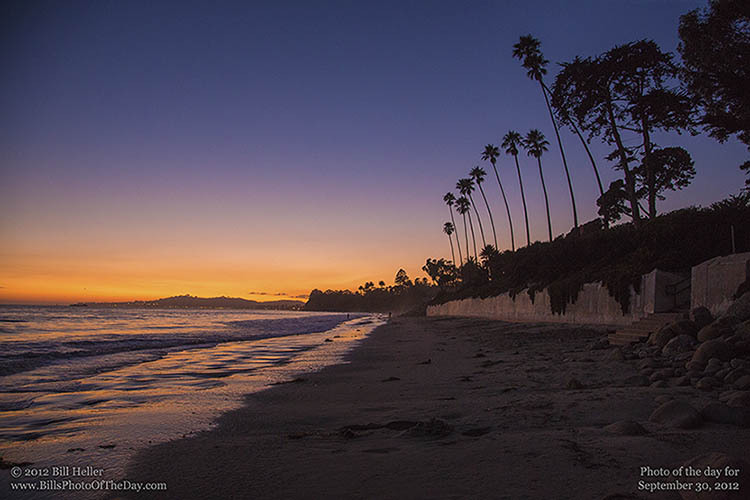 So I decided to wander Butterfly Beach just after sunset. This was one of the early shots, but I was already impressed. I could easily hand-hold shots that would have required a tripod before. And the speed of the camera was amazing. Although it's only supposed to be 33% faster, I found in practice it would easily shoot twice as many photos in the same period of time. Thanks Canon for a great update to a wonderful camera, and thank you for the opportunity to take it for a test drive! Check back throughout the week for more real world impressions of the 5D Mark III.